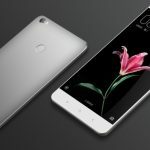 Xiaomi has unveiled the successor to the Mi Max phablet, the Mi Max 2. The phone will be available in two storage models: 64GB and 128GB. The all-new Mi Max 2, much like its predecessor, features a massive 6.44-inch display which is yet again the biggest highlight of the smartphone. Apart from a massive screen, the Mi Max 2 also packs a large 5300mAh battery. Xiaomi claimed that the Mi Max 2 comes with improved one-handed use and the phone will come with software feature that improve usability. The company has also opted for a significant antenna lines on the Xiaomi Mi Max 2 which look similar to iPhone 7. For a better hand feel, the new Mi Max 2 also comes with rounded edges. It is powered by an octa-core Snapdragon 625 System on Chip(SoC) coupled with 4GB of RAM. There’s also a fingerprint scanner at the back of the handset. The phone also features an IR blaster, which the company says can act as a universal remote for televisions and air conditions. Similar to the original Mi Max, the Mi Max 2 packs an all-metal body, and Xiaomi claims that it follows a symmetrical design with charging port and speaker grills placed at the bottom panel. The Mi Max 2 also supports Quick Charge 3.0, rated to charge the massive 5300mAh battery up to 68 percent in just one hour. The company is claiming a two-day battery life for the Mi Max 2. The Mi Max 2 sports a 12-megapixel rear camera with Phase Detection Auto Focus(PDAF) support and dual-LED flash. The company is using a Sony IMX386 sensor with 1.25-micron pixels for better handling of different lighting situations. Xiaomi says that the Mi Max 2 comes with an identical primary image sensor to the one seen on the Mi 6. The handset sports stereo speakers which the company predicts is a big improvement over the single speaker on the original Mi Max.